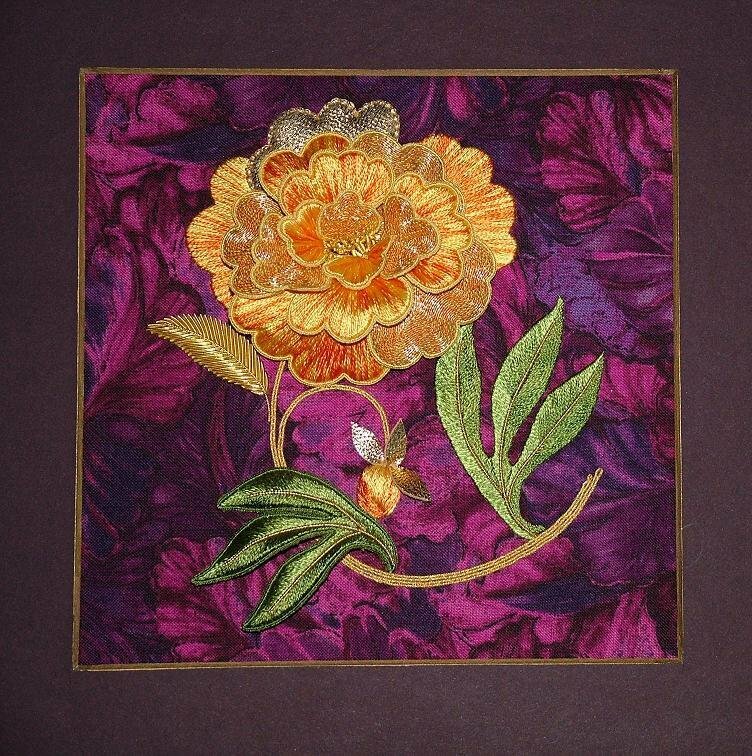 Golden Peony is embroidered in a triad of colour and is worked as a pair to Golden Lotus. It features a stunning purple and pink background fabric as the perfect foil for the orange and golden petals. Utilizing both Stumpwork and Goldwork embroidery techniques, this piece employs gilt purls and passing threads alongside Pearsall’s silks to achieve its stunning look. Design Size: 14cm x 14cm.